It's a Mom Thing Reviews & More! : Stay Sun Safe with Goddess Garden Organics! 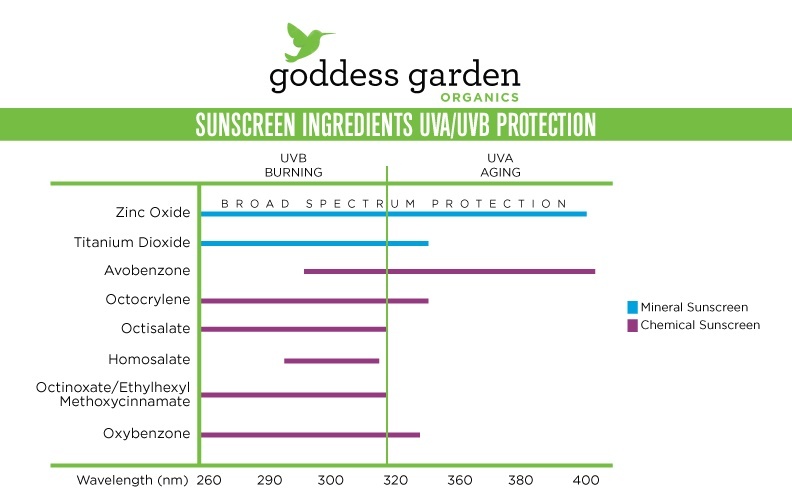 Stay Sun Safe with Goddess Garden Organics! When it comes to sun safety I am totally "that mom". The mom who carries around sunscreen in her purse, who reapplies it every few hours, and who will chase down her daughter to check for any signs of her being burnt. Chances are if I am watching your child I will do it to them too. It is very important to me that my daughter spends time enjoying the outdoors, but it even more important to me that she does it safely. Last year when purchasing sunscreen I decided to check out the ingredients before picking one. My daughter has very fair and highly sensitive skin so the ingredients used in the sunscreen we use matter. I was shocked to see that almost every sunscreen on the market contains tons of toxic chemicals. It left me feeling very concerned about the sunscreens that I had used in the past and made me want to find something better; then I came across Goddess Garden Organics and immediately fell in love with their products. Their sunscreen is organic and made without chemicals or synthetic ingredients, they use minerals to protect from sun damage. You can see a list of their ingredients HERE. It is 100% natural, 100% biodegradable, and 100% reef safe. Not only does sunscreen from Goddess Garden Organics protect you, but it protects the world around you. Unlike conventional sunscreen, natural sunscreen allows you to go out into the sun immediately after applying. Since the minerals used sit on top of the skin they are effective immediately. Natural mineral sunscreen ingredients act like a mirror and reflect sunlight away from your body, unlike conventional sunscreen which absorb the sun's rays. 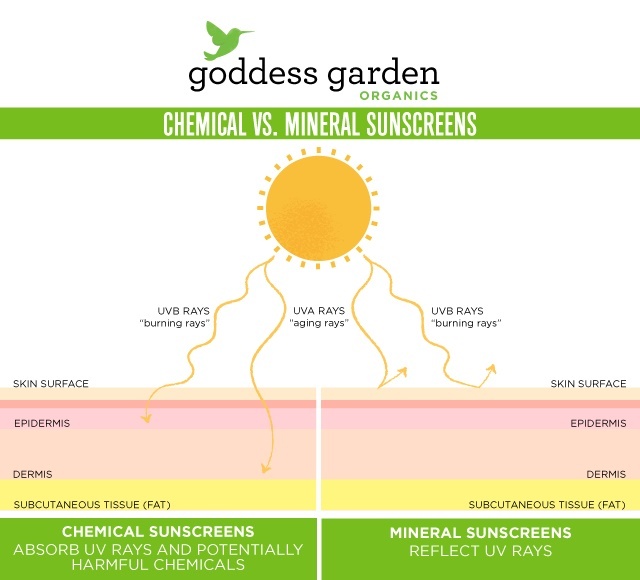 I feel safer and more protected using sunscreen from Goddess Garden Organics and that makes me enjoy being outdoors much more and worry about my daughter's sun protection less. I love that although Goddess Garden Organics sunscreen uses all natural ingredients it does not feel paste-like or grainy which many other all natural sunscreens do. It also does not leave my daughter looking white even after I rub the sunscreen in which was another issue that we found with other all natural sunscreen. Goddess Garden Organics sunscreen rubs in easily (similarly to conventional sunscreens), is non greasy, and has a light scent. We have definitely become loyal Goddess Garden Organics customers and hope that you will try out their sunscreen! Visit the Goddess Garden Organics Website HERE! "Like" Goddess Garden Organics on FACEBOOK! "Follow" Goddess Garden Organics on TWITTER! I'm actually a little surprised it took companies this long to realize that Zinc Oxide is the best sun screen going! It was used by life guards way bck when! Yes-that left you looking white but it sure protected you from sunburn!! Glad to hear that white look is no longer there!! I remember getting my face (especially nose and ears) slathered with zinc oxide when I was a kid! I've not heard of Goddess Garden. We have traditionally used another brand sunscreen, but I need to look for this! I'm such a fanatic when it comes to sunscreen but I only use products on my kids skin that are all natural. I hate having chemicals on my skin and those of my skin. I hear most people say "your AA you don't burn", but that is so wrong. Even with our darker skin we burn so I'm always prepared. We burn so easily here, but the drugstore sunscreens always worry me with the yucky chemicals they put in them. I love that this is organic. I will definitely pick some up this summer! I'm a big believer in zinc - that's all we've used on the kids and it has done a good job. But, we need SOME sun for vitamin D absorption!